CHEF TALK: This versatile meat, mushroom and vegetable dish will become a family favourite because it is quick and easy to make and, as well, can be made ahead of time. It is delicious served at room temperature or cool. Try substituting the lean ground pork with ground turkey for a Weight Watchers friendly option. (lean ground pork = 3 points; ground turkey = 0 points). 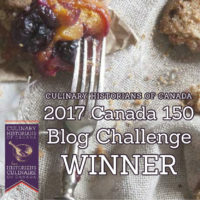 The dish is also gluten-free, grain-free and dairy free. 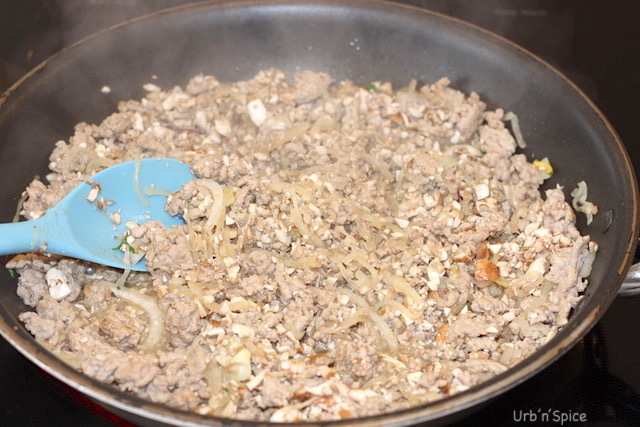 CHEF TIP: If you are using ground turkey keep in mind that it is milder in taste compared to ground pork. Therefore, my suggestion for additional seasoning is to add 2 teaspoons cumin and 1/2 cup red bell pepper to the mixture while cooking the pork, mushrooms and onions. Add hot sauce or a chopped red chili pepper, if desired. In a large frying pan, add the oil and sliced onion and cook until softened – about 2 minutes. Add the garlic and stir for 30 seconds further. Add the pork and the mushrooms and cook. Stir to break up the meat with a spatula or wooden spoon until it is no longer pink (about 4 minutes). Turn off the heat. 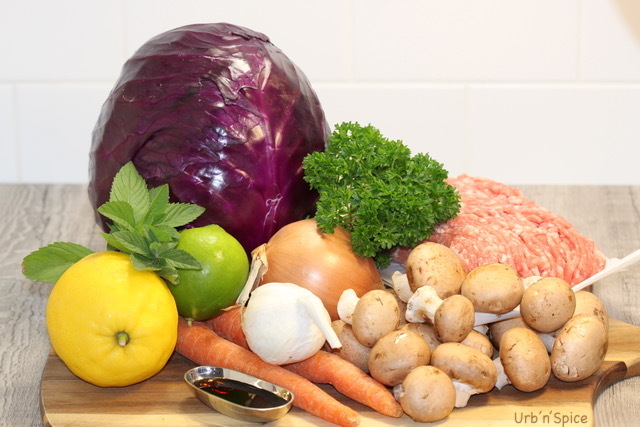 Fold the cabbage and the carrots into the mixture. The heat from the pan will soften the vegetables while leaving a pleasant crunch. Alternatively, if you prefer well-done vegetables, stir the vegetables over low heat for two minutes. Add the lemon zest, fish sauce and lime juice. Stir the mixture thoroughly. Taste for seasoning and adjust if necessary with salt and pepper. Mix in the parsley and mint. In the meantime, poach the eggs: In a small 1 or 2-quart saucepan, heat water to a simmer. Pour a few tablespoons of plain white vinegar into the water. CHEF TIP: adding vinegar to the poaching water allows the egg whites to firm faster so it prevents them from dispersing into the water. Swirl the water in the saucepan with a spatula, and then gently drop the eggs individually into the simmering water. Poach the eggs to your desired doneness (about three to four minutes). Lift the egg/s out with a slotted spoon. 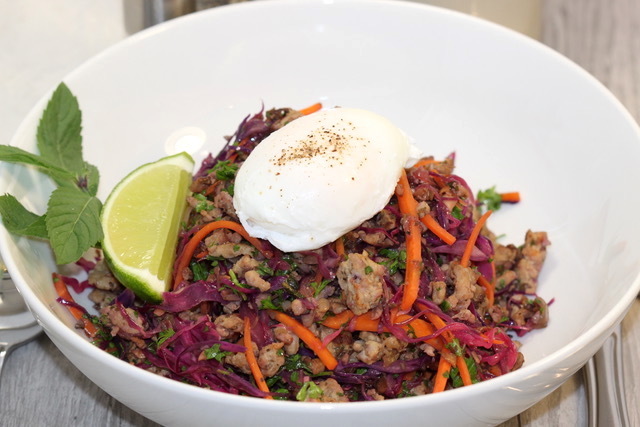 Place the poached egg on top of a serving of Blenditarian Brunch Pork (or Turkey) with Vegetables & Fine Herbs. TO SERVE: I typically use a deep bowl to serve. Garnish with additional parsley and mint. Enjoy! The final step in the mixture is adding the fresh herbs and zest. Look at that colour! 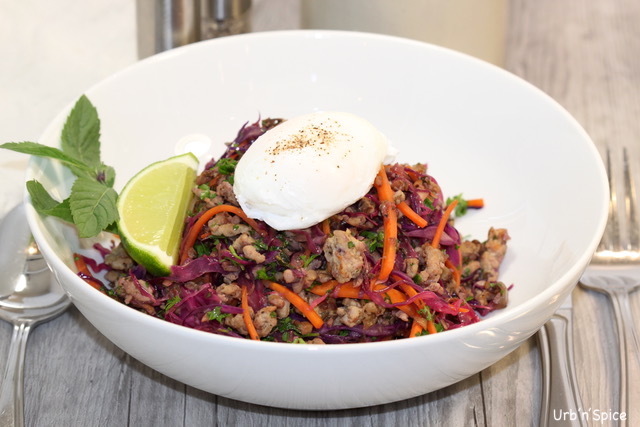 For brunch, place a poached egg on top of each serving of Savoury Blenditarian Brunch Pork with Vegetables and Fine Herbs. Delicious! 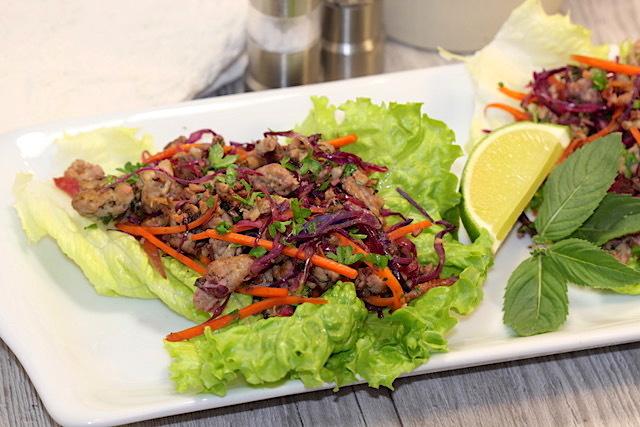 Blenditarian Brunch Pork (or Turkey) with Vegetables & Fine Herbs is great in lettuce wraps. Serve the mixture on crisp cold lettuce cups. This dish is a tasty option for a light lunch or dinner or patio gatherings. Serve the lettuce cups paired with a chilled Pinot Blanc or Riesling. Enjoy! In a large frying pan, add the oil and sliced onion and cook until softened over low-medium heat (about 2 minutes). Add the garlic and stir for 30 seconds further. Add the pork and mushrooms and cook. Stir to break up the meat with a spatula or wooden spoon until it is no longer pink (about 4 minutes). Turn off the heat in the frying pan. 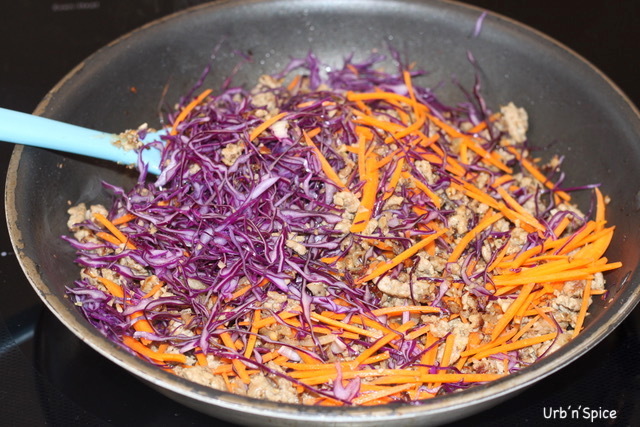 Fold the cabbage and the carrots into the mixture. The heat from the pan will soften the vegetables while leaving a pleasant crunch. Alternatively, if you prefer well-done vegetables, stir the vegetables over low heat for two minutes. Remove from the heat. Add the lemon zest, fish sauce and lime juice. Stir the mixture thoroughly. 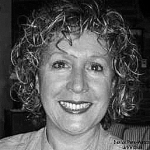 Taste for seasoning and adjust if necessary with salt and pepper. The addition of many types of vegetables just adds to the appeal of this dish. I enjoy having vegetables cooked in creative ways to produce different textures. I also like the idea that the dish can be served warm, cold or at room temperature. 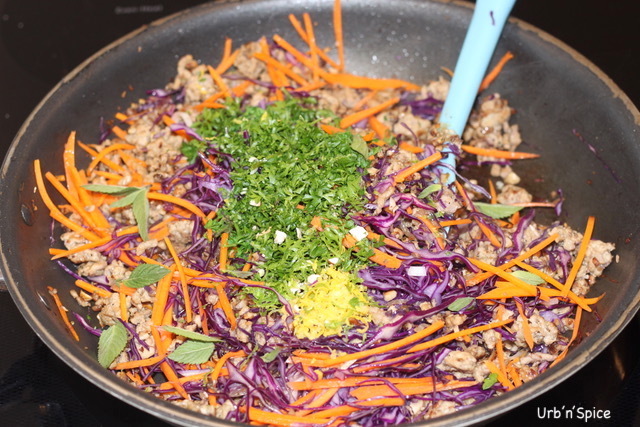 It is also a Weight Watchers friendly dish (using ground turkey). I hope you enjoy it as much as we do! TO SERVE: I typically use a deep bowl to serve this brunch dish. Garnish with additional parsley and mint. Enjoy! CHEF TALK: This versatile meat, mushroom and vegetable dish will become a family favourite because it is quick and easy to make and, as well, can be made ahead of time. It is delicious served at room temperature or cool. Try substituting the lean ground pork with ground turkey for a Weight Watchers friendly option. (lean ground pork = 3 points; ground turkey = 0 points). The dish is also gluten-free and dairy free. If you try my recipe for Savoury Blenditarian Brunch Pork with Vegetables & Fine Herbs, please leave me a comment below with your feedback. I could eat this for brunch, lunch, or dinner. It looks delicious and I especially love the lettuce wrap idea. Great recipe, Denise! 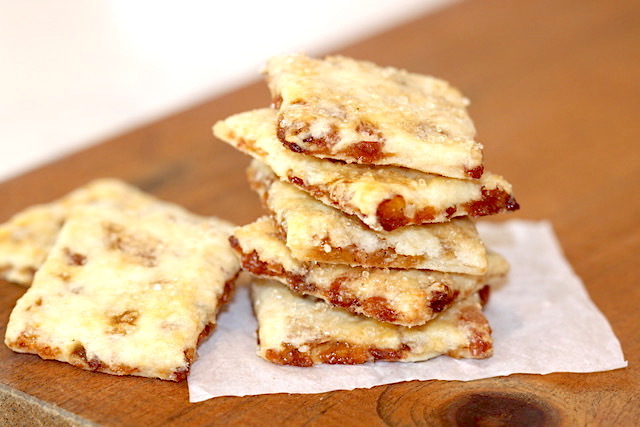 This is a great recipe and a definite keeper. 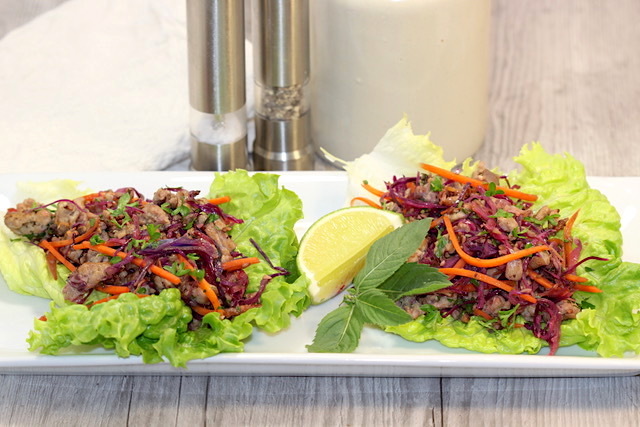 We love Thai food and used to order Larb from our favorite Thai place when we live in Vancouver. We have Thai here, but no Larb on the menu. I say we have Thai, but it’s what I call Thaish. A blend of Thai and Swedish. 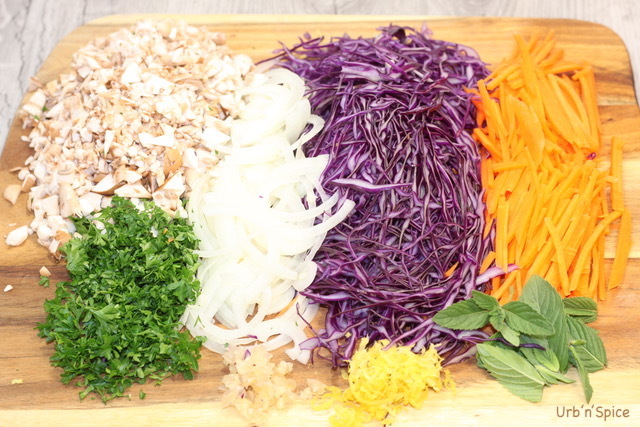 So, your Blenditarian Larb this will slide right into our recipe box. Great post. This looks so good, Denise, and when I read your suggestion to try it with ground turkey, I knew it was a keeper recipe! Love all the different veggies packed into one dish. Thanks for sharing! It’s always nice to find another gluten-free brunch recipe, and I think the Blenditarian idea is a great one! I also appreciate that this dish can be served hot or cold. I’m Pinning it to try! Your dish looks delicious! 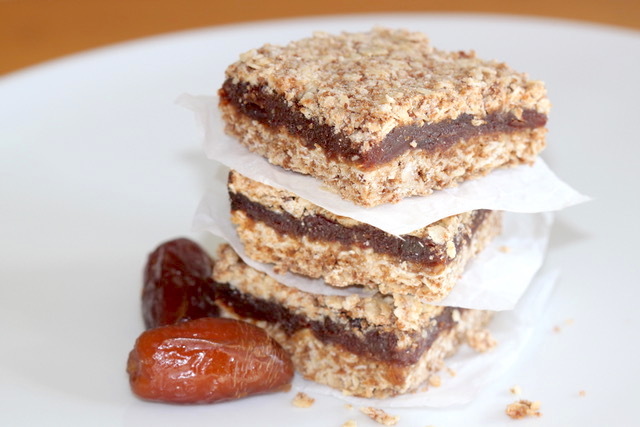 The recipe is so flexible with alternative options to help accommodate anyone’s taste. I love savoury brunch dishes, especially ones loaded with veggies and lots of flavour! And that poached egg on top looks perfect! Thanks so much for your kind words, Leanne. This is now a favourite dish in our family. I hope you get a chance to try it.